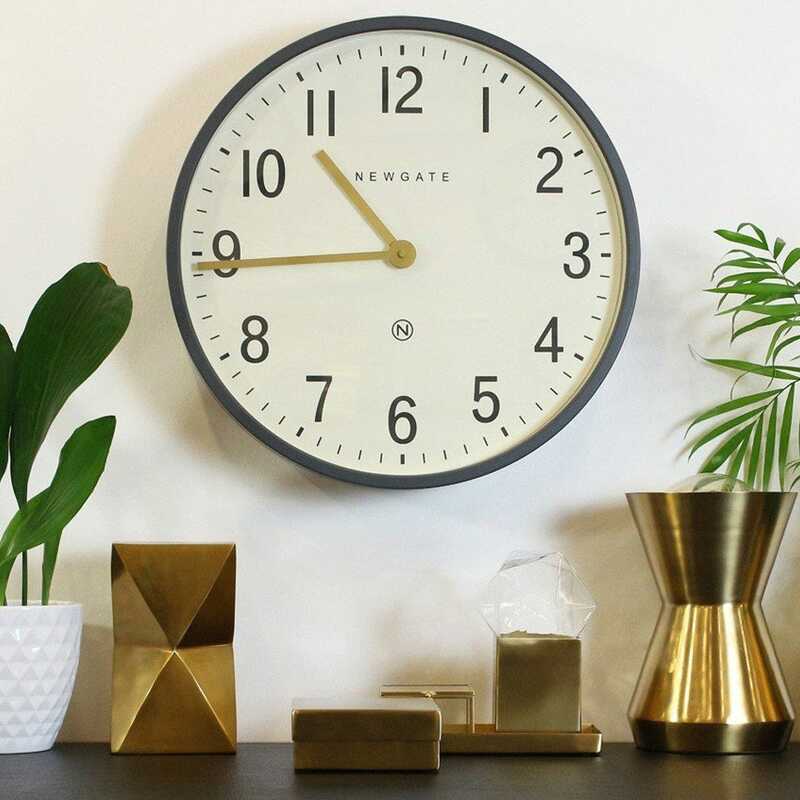 Keep time in perfect style with this Mr Edwards wall clock from Newgate. Featuring a matte grey edge and crisp white dial with numerical markers and metal hands this wall clock will look fabulous in a dining room, kitchen or study. Arabic dial with metal hands and glass lens. Available in a brass finish. I love the look of it but it’s the second clock bought from Heal’s that the printing has been smudged under the glass. The first one was so noticeable from across the room, second one is less noticeable so I settled as I couldn’t bear going through heals customer services again.